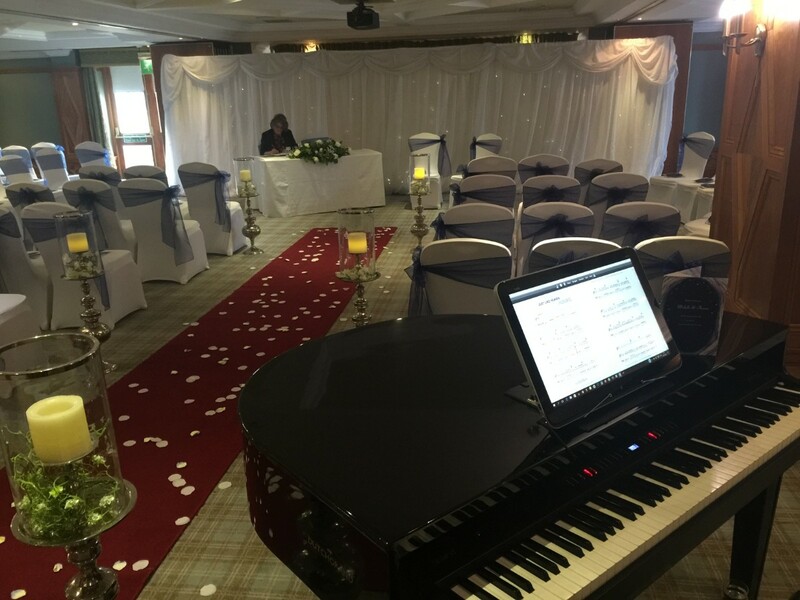 Sean Rowland (formerly known as MusicMaster) is an experienced and professional Wedding Pianist providing music for ceremonies, drinks receptions & during dinner too. 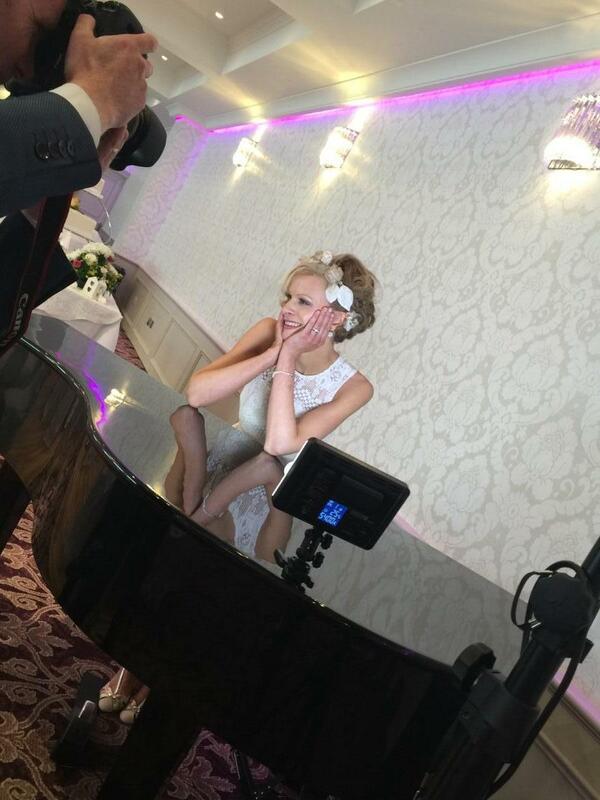 Sean provides instrumental covers of all the wedding classics or can work with a singer of your choice. 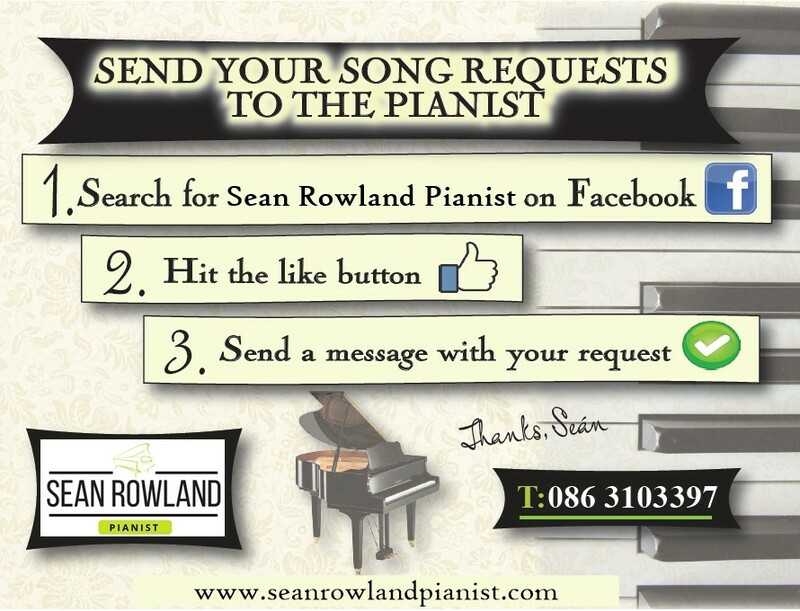 Sean also provides a fantastic portable baby grand piano that can be set up in minutes, indoor or outdoor. 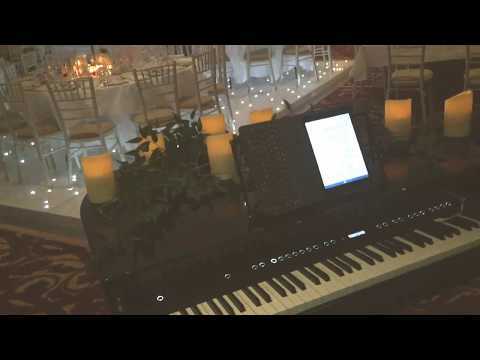 He can help guide you through the whole process of your ceremony music and has a vast array of songs choices for both ceremony and reception. 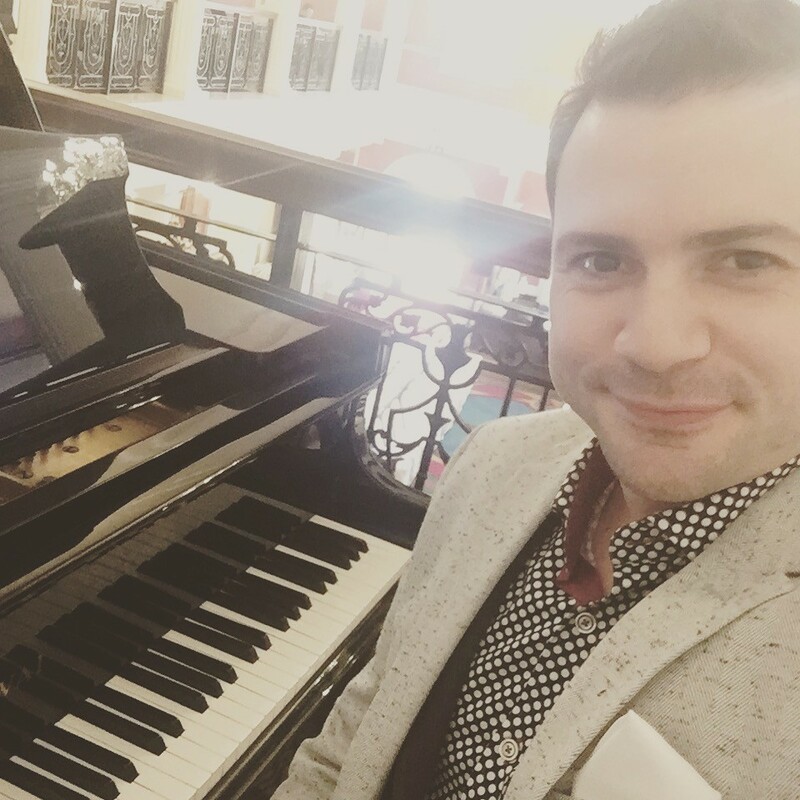 If you are looking for something unique and a real treat for your family and friends, Sean is also the only wedding pianist to offer live Facebook requests from your guests as they relax before or during dinner. 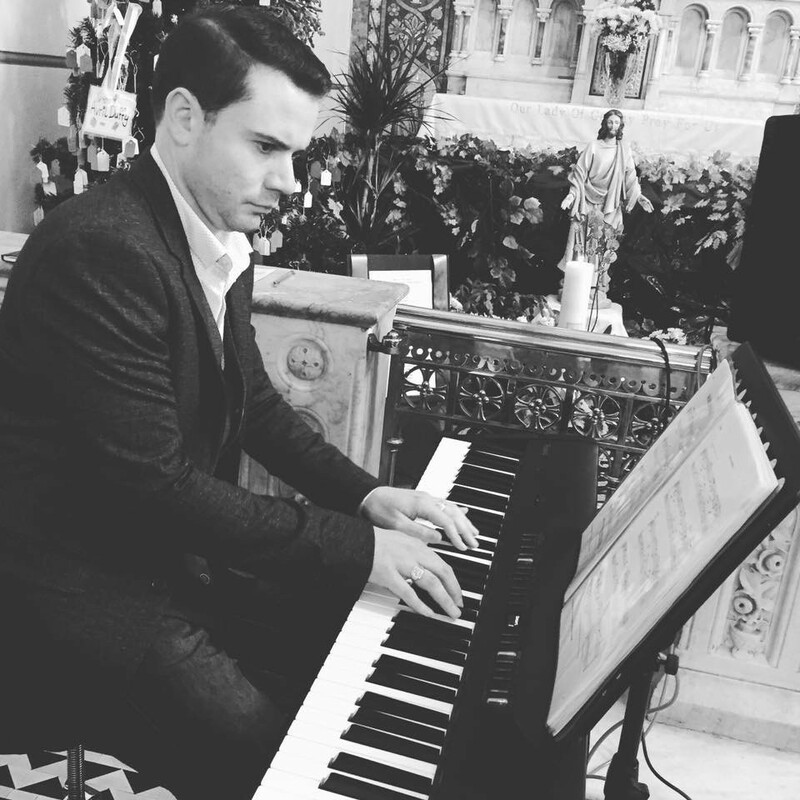 Sean’s music offers a variety of chart hits spanning the decades, film & TV, musical numbers, Irish ballads and some light classical if the mood suits. 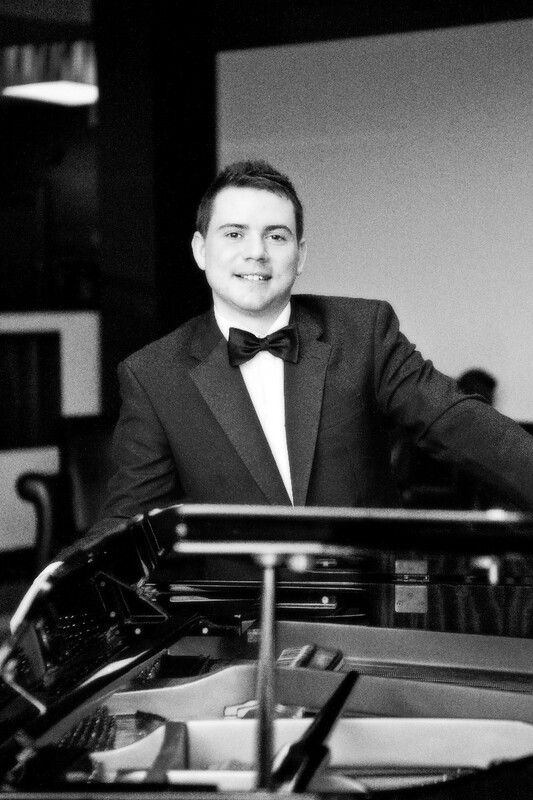 Rated 5 stars and playing over 120 weddings a year, Sean’s professionalism and skill make him renowned as one of Ireland’s top Wedding Pianists. Get in touch and Sean will be back to you shortly to answer any questions you may have. Sean was fantastic. He learned several pieces that we requested in a short space of time and played them beautifully at our ceremony. Delighted with everything. Everybody at the wedding commented on how good he was as well. Well recommended. A heartfelt thank you for playing the music during our wedding meal on Saturday, 29th October 2016. 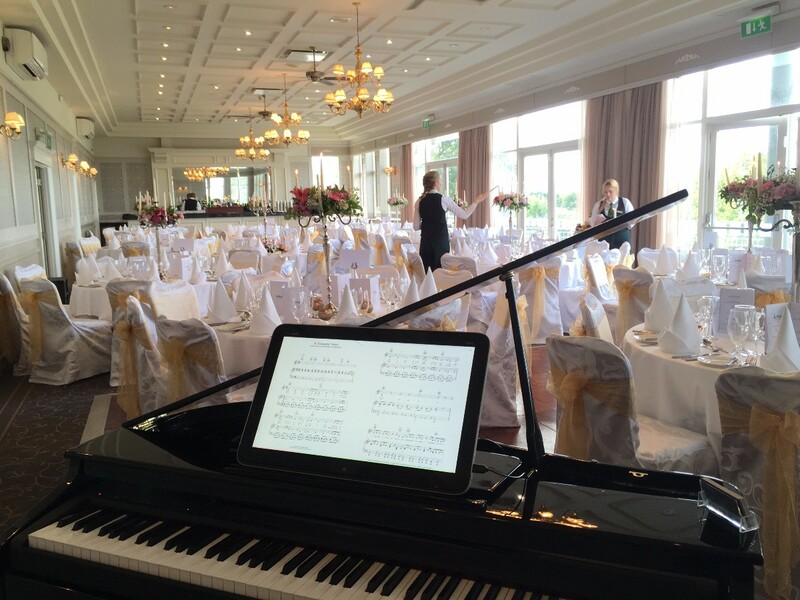 We are so glad we asked you to play the piano during the meal, it added a lot to the atmosphere. The music you played was fabulous and you managed to get our requests in too!! One of my favorite moments of the day was when Shane and I went into the reception room early in the evening to see the cake and we had a bit of a spontaneous dance which you made really special. There were lots of family and friends asking about you who were quite impressed! 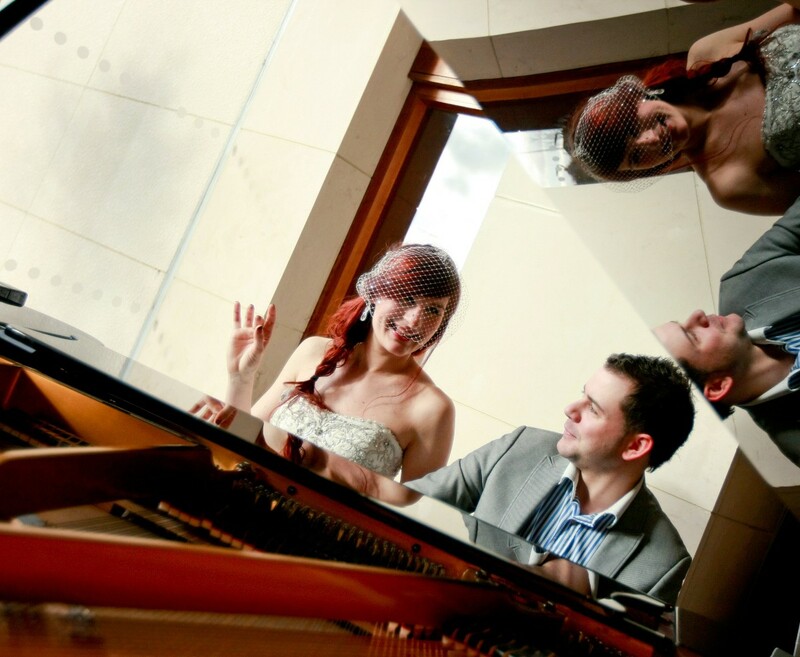 The music played a huge role in our day so thank you very very much for agreeing to play at our wedding. You did a fabulous job, and you were always very pleasant to deal with. Looking forward to hearing you play again sometime soon. 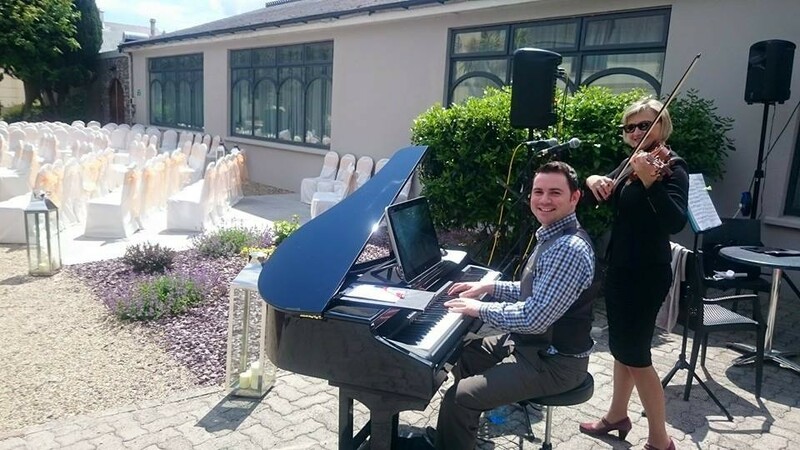 Sean was a fabulous musician and so professional he provided the most magical music for our church ceremony and reception drinks in the Clayton hotel in Galway. I wouldn't hesitate to recommend him as he does not disappoint. I have already recommended him to everyone one who attended our wedding that inquired about him. He was such a pleasure to deal with. HI Michelle & William, thanks very much for that.....really appreciated! A lovely couple and I wish you the very best! We were lucky for our wedding that we had a close friend Sarah who is a fab singer so we looked to get someone to accompany her and came across Sean. I really can't praise him highly enough the effort he went to coming to our house to run through song choices and rehearse with Sarah. We were very indecisive on some song choices but Sean was extremely patient and gave his input on how different pieces would work. He also learnt the song I walked down the aisle to and created a beautiful doo-wop rendition of Hanson MmmBop (one of my favorite songs) for us to leave the church too. On the day of the wedding he arrived to the church early to setup and have a final rehearsal with Sarah. The both did brilliant and everyone comment on how great they were. Sean also played the reception at the hotel and really added to the atmosphere. Thanks for everything Sean, we'd recommend you to anyone. Sean and Sara were simply amazing, We had a couple of "non traditional" wedding songs that Sean had absolutely no bother doing for us. They were so friendly and so professional. No request was too big or too small, and they created the absolutley perfect atmosphere. I would 100% recommend musicmaster for any event not just weddings. Hi Sean thanks so much for playing during the meal of our wedding you set the seen perfectly would recommend you to any one. Thanks again Colin & Fiona. We had to get a pianist at fairly short notice when our previous guy let us down. This was lucky for us, because Sean was absolutely excellent. He was very helpful and reasonably priced. He took the time to sit down a few weeks beforehand and discuss what kind of music we wanted. He was happy to work with one of our bridesmaids who sang a few songs at the ceremony, and it worked out very well. The music was excellent and we got lots of people commenting on it. 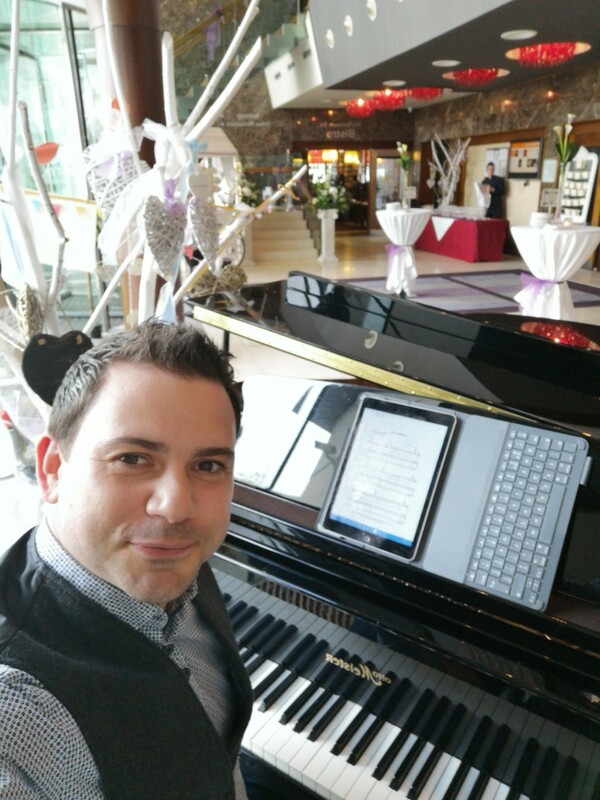 He also played at the hotel reception, it really added to the atmosphere there. Overall, we would highly recommend Sean to anybody looking for music for their venue and/or reception. I seriously cannot recommend Sean enough. Aside from being a pure gentleman and a pleasure to deal with, his music is simply fantastic and he really added something special to our big day. As a bride from abroad I feel this added a little more stress on the proceedings but Sean really took us under his wing in terms of helping us choose our music for the day and pointing us in the right direction and he even went as far as to learn new songs/hymns that had special meaning to us. As a result I felt the music that accompanied our service was very ' us ' and unique and everyone I spoke to on the day had something lovely to say about it. Do yourselves a favour and book Sean for your big day. I had no idea what a massive part the music would play at our wedding and upon reflection I am so glad that we paid as much attention to it as we did. The quality of Sean's work is outstanding and I would hire him time and again in the future. Sean was a real pleasure,and professional to deal with, he played for our drinks recception. As a musician myself and knowing that many of my caullegues were attending I was really picky about who and what was played. He did a wonderful job, nothing was to much trubble for him. Everyone commented on the music, and really enjoyed it. I would definatly recomned him. 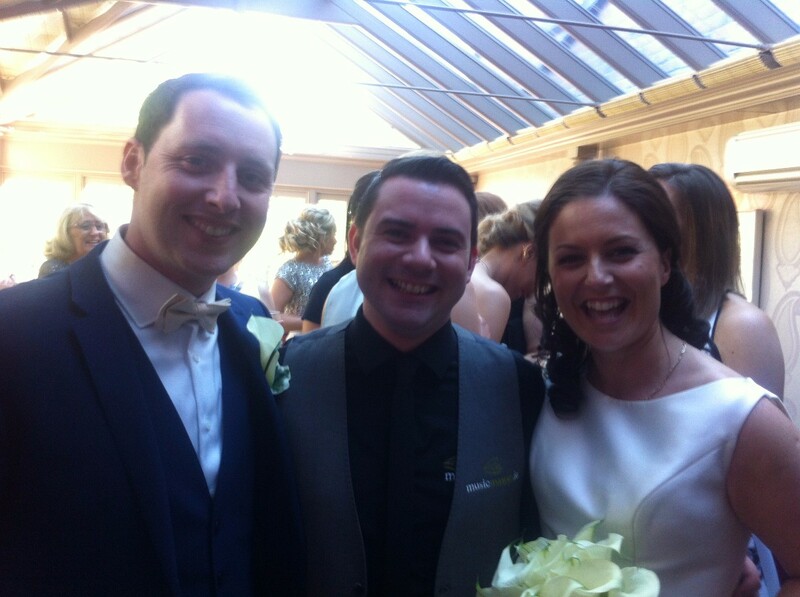 Ah Thanks Mairead & Conor, really appreciated and delighted to part of your lovely day! 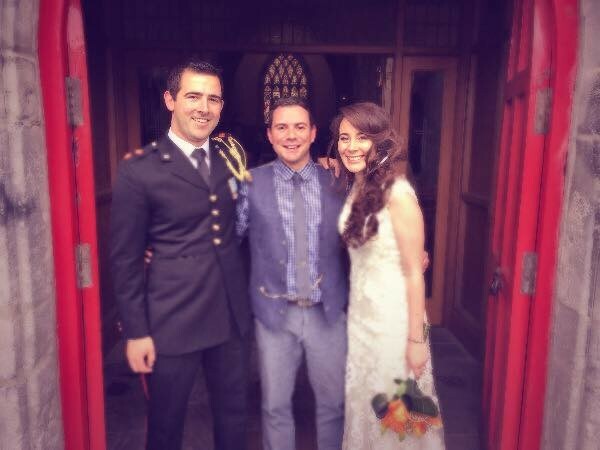 We would like to thank Sean for all his help with organising the music for our wedding in Galway last year. We had a small reception and were looking for some acoustic music to set the mood, Sean listened to our playlist suggestions and was able to recommend a local musician who was more than suitable. Going on his recommendation we got exactly what we wanted and the music really added to our evening. 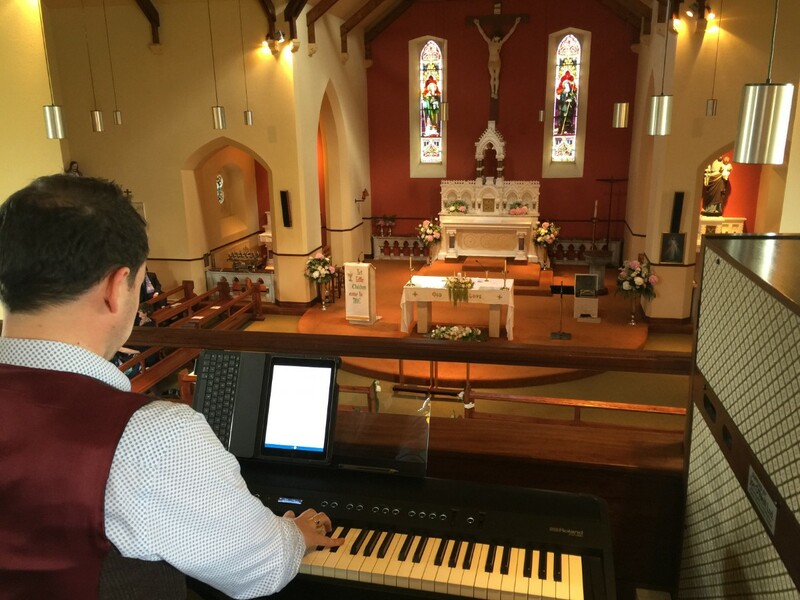 Not only is Sean a great musician in his own right but he offers a fantastic service to people looking for the right music for their big day. We would highly recommend musicmaster.ie, thanks Sean! 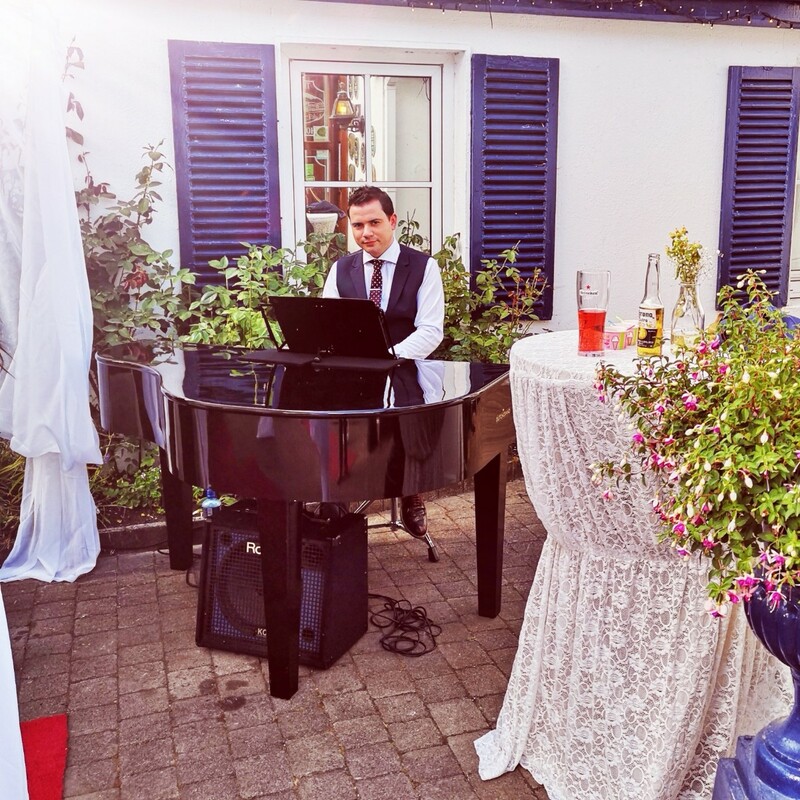 We had the pleasure of having Sean playing at our wedding drinks reception at The Clayton Hotel in September. 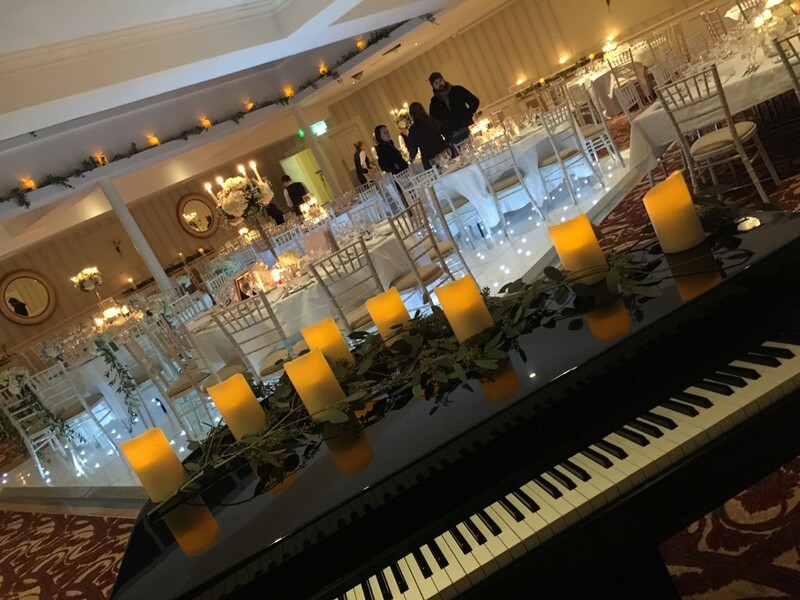 A piano player is a wonderful choice for a wedding as it adds a little something special and is always popular with guests. From the first day we met Sean he was professional and very open to any songs we suggested, including Father Ted's 'My Lovely Horse' which went down a treat with our guests! Sean has an extensive playlist of songs, both old and more modern, and we were delighted with the songs he did for us on the day, great selection of upbeat and slow tunes. We would definitely recommend Sean for weddings, family functions, parties etc. HI Jacinta....apologies I'm only responding to this now!! who can believe it's been over two years!! I hope married life is treating you well and thanks gain for having me!! much appreciated! 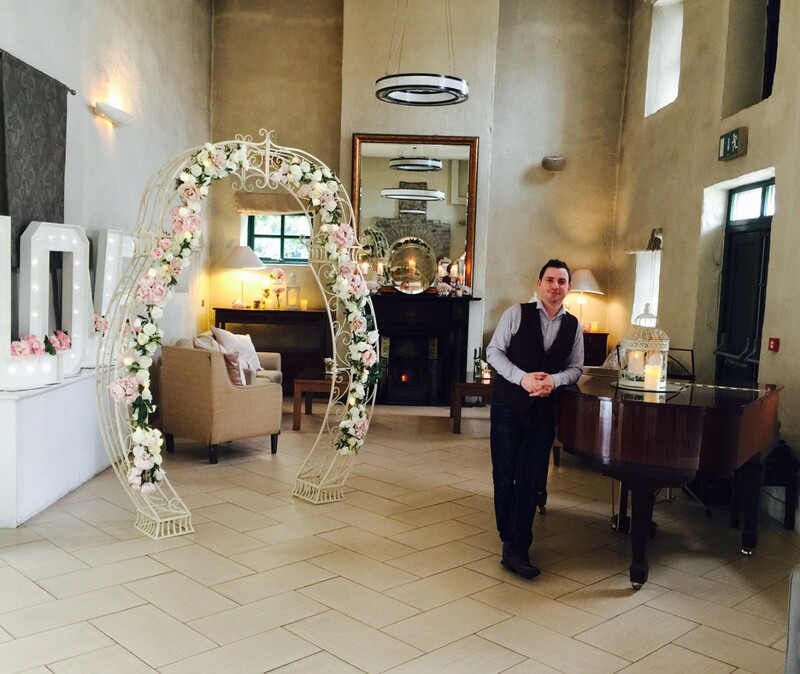 We would highly recommend Sean, he was a pleasure to deal with coming up to the wedding and always very helpful. 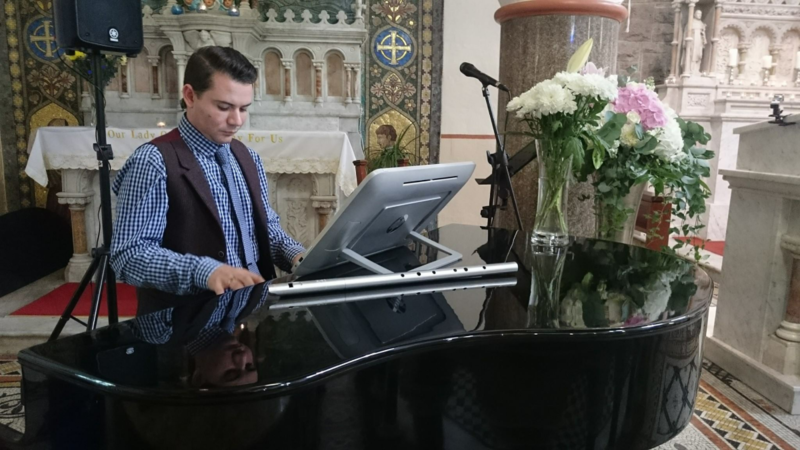 Sean played for us in our church ceremony and the music was just amazing, we got so many compliments from our guests. Thanks again Sean. Can you believe I'm only responding to this now!! You know me Victoria...normally very efficient lol......can't wait to hear all about your expected arrival when we "bump" into each other next (see what I did there ;-) ) Thanks again from having me, pleasure was all mine! !